Most people work in an office or home environment, where they spend the majority of the day sitting. EFitment S021 Fitness Stepper provides a moderate workout and can have a positive impact on your health by improving your cardiovascular fitness while toning the muscles in your lower body and helping you lose weight. Take a break from sitting. 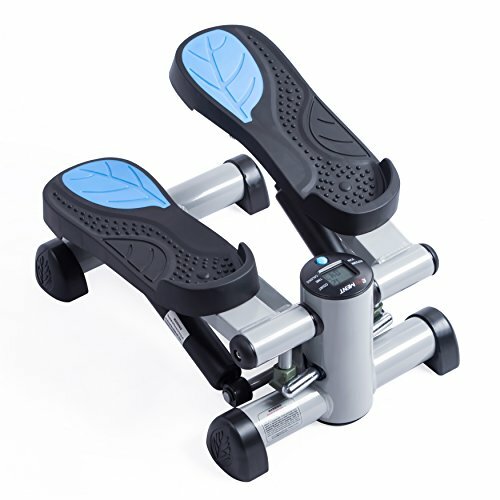 The stepping motion used while exercising with this stepper mimics walking which is an aerobic activity. Regardless of age, weight or athletic ability, aerobic activity is good for you. As your body adapts to regular aerobic exercise, you'll get stronger and fitter. Get going and get in those extra steps! HYDRAULIC DRIVE SYSTEM: Built with a hydraulic drive system, this workout machine uses fluid power to do simple work providing a smooth and quiet workout. Stepper arrives fully assembled!